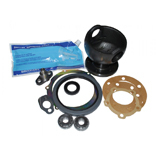 Front Axle parts suitable for the Land Rover Discovery 1 with ABS. Inc. VAT: £15.61 Inc. VAT: Info UK VAT charged at 20%. Ex VAT £13.01 Ex VAT Info Outside of EU and EU VAT registered companies only (not UK). Inc. VAT: £31.80 Inc. VAT: Info UK VAT charged at 20%. Ex VAT £26.50 Ex VAT Info Outside of EU and EU VAT registered companies only (not UK). Inc. VAT: £28.80 Inc. VAT: Info UK VAT charged at 20%. Ex VAT £24.00 Ex VAT Info Outside of EU and EU VAT registered companies only (not UK). Inc. VAT: £30.30 Inc. VAT: Info UK VAT charged at 20%. Ex VAT £25.25 Ex VAT Info Outside of EU and EU VAT registered companies only (not UK). Inc. VAT: £0.54 Inc. VAT: Info UK VAT charged at 20%. Ex VAT £0.45 Ex VAT Info Outside of EU and EU VAT registered companies only (not UK). Inc. VAT: £4.92 Inc. VAT: Info UK VAT charged at 20%. Ex VAT £4.10 Ex VAT Info Outside of EU and EU VAT registered companies only (not UK). Inc. VAT: £12.29 Inc. VAT: Info UK VAT charged at 20%. Ex VAT £10.24 Ex VAT Info Outside of EU and EU VAT registered companies only (not UK). Inc. VAT: £36.83 Inc. VAT: Info UK VAT charged at 20%. Ex VAT £30.69 Ex VAT Info Outside of EU and EU VAT registered companies only (not UK). Inc. VAT: £4.60 Inc. VAT: Info UK VAT charged at 20%. Ex VAT £3.83 Ex VAT Info Outside of EU and EU VAT registered companies only (not UK). Inc. VAT: £0.28 Inc. VAT: Info UK VAT charged at 20%. Ex VAT £0.23 Ex VAT Info Outside of EU and EU VAT registered companies only (not UK). Inc. VAT: £1.20 Inc. VAT: Info UK VAT charged at 20%. Ex VAT £1.00 Ex VAT Info Outside of EU and EU VAT registered companies only (not UK). Inc. VAT: £1.79 Inc. VAT: Info UK VAT charged at 20%. Ex VAT £1.49 Ex VAT Info Outside of EU and EU VAT registered companies only (not UK). Inc. VAT: £5.98 Inc. VAT: Info UK VAT charged at 20%. Ex VAT £4.98 Ex VAT Info Outside of EU and EU VAT registered companies only (not UK).